Tired?? Is it just #momlife or could your hormones be to blame?? As moms we are often guilty of putting our families needs over our own. We are often exhausted and touched out, especially if you are breastfeeding. It comes with the title “mom”. Or does it?? How do you know when it’s just #momlife or if it’s something more?? I am breastfeeding my 3rd child. Anya is 2 years old and loves her milk, she’s even up several times a night wanting to nurse. So it should come at no surprise that I am always tired! However, on top of being tired my libido has completely disappeared, I was constantly getting sick, some days I could barely get through a workout, other days my body hurts just walking up the stairs. My periods are very irregular and I often have bad bloating, cramps and PMS. I’ve seen so many moms complain of these same symptoms and we are all told that it’s “normal” or it’s because we are “breastfeeding”. While mom life can absolutely be exhausting and it is “normal” for breastfeeding to lower your libido we have become too used to the “new normal”. I started seeing Dr. Jerrica Sweetnich , ND, CNS after almost 2 years of dealing with these symptoms. I just wanted to feel better and like myself again! Dr. Sweetnich suggested doing a SIBO test as our first step and it came back positive! We started a natural treatment course and treated this as a first step. SIBO stands for Small Intestinal Bacterial Overgrowth. Watch for a blog on SIBO in the future. If you suspect that you have SIBO consult an ND for testing. After we completed the SIBO treatment she suggested that we do hormone testing. The test was a urine test that I completed at home at a specific time during my cycle. When we got the results back it explained so much about the symptoms I was experiencing. For 2 years I thought that it was all a normal part of breastfeeding and it’s NOT! Turns out I was in a total burnout stage! I’m so thankful for Dr. Sweetnich! Because I’ve seen so many other moms complain about the exact symptoms I was experiencing we decided to do a call on this topic and go over a sample hormone test report. If you suspect that you have hormone imbalances please find an ND and ask them about hormone testing like the Dutch Test! If you need help finding an ND in your area please join HEALTHY HUSTLERS and we will be happy to help direct you to someone in your area if we can! Here is a complete sample report so you can see how in depth it is. It’s amazing what I learned when we went over mine! One of the hormones in my report that was really low was Testosterone. This explains my decreased libido and muscle weakness. My estrogens and progesterone were out of balance which also explains a few of my symptoms! Your cortisol levels are supposed to rise and fall throughout the day. My levels were low all day. This explains why I was tired ALL day long. Many days I woke up tired and needed an afternoon nap. Although I wrote this blog aimed towards moms I want to mention that women aren’t the only ones who suffer from hormonal imbalances. If one of the men in your life is experiencing some of these symptoms then I suggest they see an ND and have hormone testing done as well! Dr. Sweetnich is located in Akron OH but does virtual visits as well. You can connect with her via Facebook or via the Revitalize website. I breastfed my first child for 12 months and my second for almost 2 years. I fed them both a very healthy diet and I vaccinated them according to the CDC schedule. I researched every baby item I purchased, how to feed them, benefits of breastfeeding etc. but I NEVER thought to question vaccines. I also didn’t know that many of the illnesses that are considered “normal” these days are actually caused by vaccines. I recently found my 11 year old medical and vaccine records and was shocked at what I found. See video below. I had no clue what a vaccine insert was. Have you ever read one? Here is the MMR vaccine insert and it’s 11 pages long!! Pay close attention to the adverse reactions. I had my third baby and still didn’t think to question vaccines. In fact, I thought those “anti vaxx moms” who didn’t vaccinate were crazy. Anya was vaccinated through 4 months old. It took her having a reaction for me to finally stop and ask questions. Here is our story. Once I started looking into vaccines I was appalled at what I learned. I felt like I had been lied to all this time. I knew in my heart that I could no longer vaccinate my babies. I made the decision to stop over 2 years ago and I haven’t stopped researching them. The deeper I dig the more I learn. I would be lying if I told you that when I first stopped vaccinating I wasn’t scared that my precious babies would catch some awful disease like measles, chicken pox or polio. I laugh now when I think about how misguided those concerns were. Measles used to be a normal part of childhood, so did chicken pox, I’ll address polio as well. These symptoms usually last 2 to 5 days then go away on their own…..hmmmmmmmm none of that sounds very scary. So most people who contract polio have no symptoms or flu like symptoms that go away on their own….Interesting right? What if I told you that many vaccines list adverse reactions that are eerily similar to polio like ADEM or GBS?!?! We are constantly told that vaccines are safe and we are just CRAZYMOTHERS but when you read the inserts vaccines are FAR from safe. Health and Human Services (HHS) is supposed to file Vaccine Safety Studies with Congress every 2-3 years. Robert F. Kennedy won a lawsuit against them last year proving that they haven’t filed a single safety study in OVER 30 YEARS!!! Take vitamin c , vitamin d and supplements. We love these Greens, our kids especially love the chews! 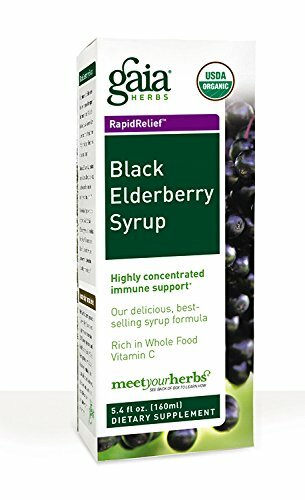 Elderberry syrup is awesome for your immune system! Here is a recipe to make your own! If you are doing the things listed above but would like extra protection against the “vaccine preventable diseases” then you need to check out Homeoprophylaxis!! There are other options mamas!!! I had the pleasure of sitting down with Dr. Janet Levatin and interviewing her on this topic! You can see the full interview below. Homeoprophylaxis is a method used to protect individuals – from infants to adults – from contracting infections. In contrast to vaccinations, homeoprophylaxis does not rely on antibody formation to prevent an illness. Instead, the homeopathic remedies boost the innate immune system to lower a person’s susceptibility to diseases. Homeoprophylaxis is based on the philosophy that micro-organisms are not the sole cause of illness, but rather the symptoms of the illness are the interplay between a micro-organism and the individual’s susceptibility to it. The healthier the patient, the less susceptible to contracting an infection. 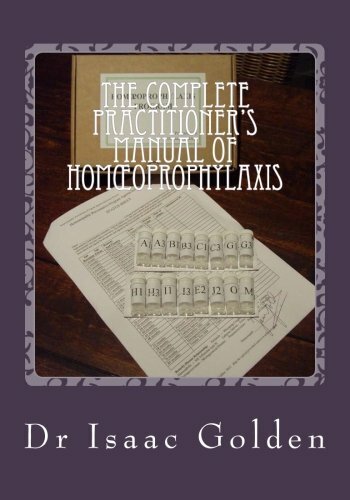 Homeopaths who have practiced according to this principle during the centuries include Boenninghausen, Kent, Burnett, Tyler, Blackie, Boger and others. In modern times Dr. Isaac Golden from Australia, has addressed this issue in a systematic manner. You can learn more from Dr. Levatin’s blog HERE! If you are interested in learning more you can contact Dr. Levatin. She offers free 15 minute consultations (in person or over the phone) to see if her services are right for you. Live outside of Ohio? Visit this website to find a practitioner near you that offers Homeprophylaxis. Does It Works really work????? I recently came across the company It Works, a company I had completely disregarded in the past. I thought the wrap was gimmicky and their products weren’t great . I’m not wrong often (I mean I am a woman and aren’t we always right?!?!) but I can admit when I was wrong and in this case boy was I wrong! My other half Mike is friends with the owner Mark Pentecost and the CSO Mike Potillo. After a trip to Florida he brought home some products for me to try. He handed me a wrap and I rolled my eyes at him. 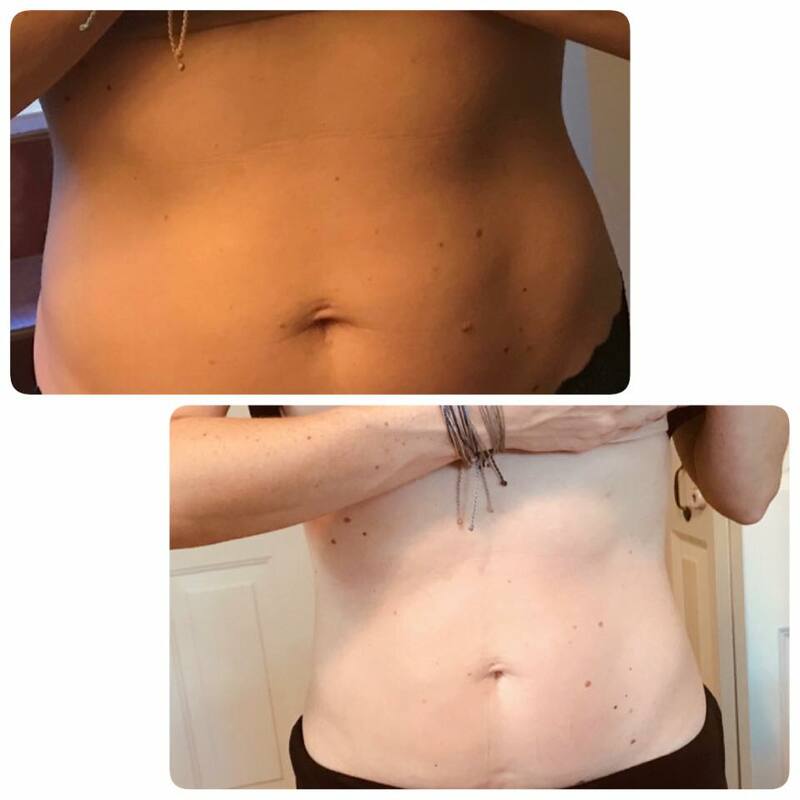 A few weeks later we were going to a wedding and after trying on my dress I asked him where that wrap thing was….after all I’ve had 3 kids and could use a little helping toning and firming. I tried it and was shocked at how well it worked. So I started doing what I always do and started researching their products. I was very surprised and impressed with some of their ingredients. I found a handful of their other products I wanted to try. I had the pleasure of doing a call with the It Works doctor and imagine my surprise when I learned that hes very into natural remedies and never vaccinated his children! We totally hit it off and I asked him if we could do a recorded call that I could share with you all! We had so much to talk about that the initial video was almost 40 minutes so I broke it up into smaller segments! I loved hearing his story and learning that he and I share many of the same values and beliefs! I hope you all enjoy getting to know Dr. Don as much as I did! This video talks about some of my favorite It Works products, their shakes and keto line! Anya and I LOVE shakes so I was really excited to try these! They are plant based using yellow pea and organic sprouted brown rice proteins, they have 15 grams of protein, and ZERO sugar!!! Soy-Free. Non-GMO. Dairy-Free. Vegan. No artificial colors, flavors, or sweeteners. Free of antibiotics and growth hormones. Heart-healthy formula that’s low in saturated fat and cholesterol-free. Optimal levels of BCAAs. Helps build and maintain lean muscle mass. Long lasting protein that satisfies, plus they don’t cost $100 a bag like so many other shakes!!! This article talks about why plant based protein is better for you! I LOVE the Keto coffee. I use a non dairy coconut milk creamer (I hate black coffee) but it still has 4 grams of sugar. I’ve tried sugar free ones but didn’t like them. I hate starting my day with sugar in my coffee like that. 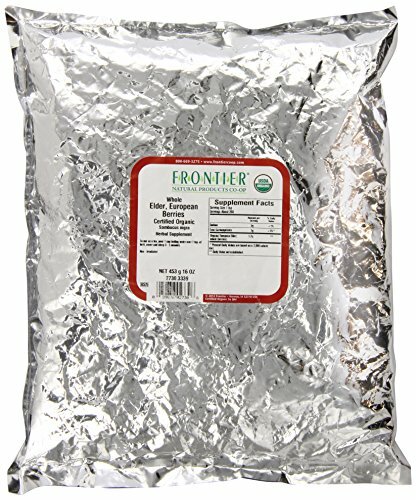 I recently tried Keto coffee and was blown away! It tastes amazing WITHOUT me adding anything to it!!!! And it’s made with awesome ingredients! Plus it’s individual packets so it’s perfect for travel!! Win win!! So lets talk about these wraps. I totally thought they were a gimmicky weight loss product until I tried them. I had such great results that I made a post on my FB page and was shocked at the comments from others saying they had tried them with no results, until I realized that they too thought the wraps were a weight loss product. It Works Wraps are NOT a weight loss product! They are meant to firm, tone and detoxify. True weight loss is found at the gym and in your kitchen! These wraps should be used to supplement your healthy lifestyle. They are great for an event, wedding, trip to the beach, competition etc! I am going to share my before and after picture with you. I eat very healthy and I try to workout regularly BUT I’ve given birth to 3 babies and I’m in my mid-thirties so I can use any help firming and toning my skin I can get!! These pictures were taken 51 minutes apart. Before was taken in the bathroom and after in the kitchen so the lighting is a little different. Disclaimer: Since the wrap detoxifies it should be used with caution while breastfeeding and not at all while pregnant. I am still breastfeeding our 2 year old so I’ve only done the wrap once so far. We are using their It’s Vital Minerals at our house currently so I am going to talk about them! Keep those bones strong, your heart healthy, and your body nourished with It’s Vital Minerals. Powered by sea-algae derived Aquamin® premium mineral blend, It’s Vital Minerals enhances your body’s calcium absorption through a superior combination of 250% of the DV of Vitamin D and Vitamins K1 and K2 (MK-7), ensuring calcium stays in your bones and boosting support for your cardiovascular health. There are several products in the It’s Vital Line, you can read about them all HERE. Greens are one one of my favorite products from this company!!! While I believe that you should get most of your nutrients from the foods you eat, sometimes you need to supplement! Great for picky children or even adults who don’t get enough fruits and veggies in their diets! This article talks about why it’s important for your body to be alkaline! I hope you found this information helpful and you are excited to try these products!! We have a large blended family and spend a ton of money on groceries and supplements. I LOVE how affordable these products are!!! I love that I get to work from home by finding awesome products to help others live a healthy, natural lifestyle and I’m always looking for new products to try. Please feel free to reach out with any questions!! Also please join our online wellness community HEALTHY HUSTLERS! I love coming up with new breakfast ideas and OMG you guys this was SO good!!! The girls and I went to Robek’s the other day and tried their bowls instead of our normal shakes. We all loved them so I had to come up with one we could make at home! The possibilities really are endless on what you can do with this! 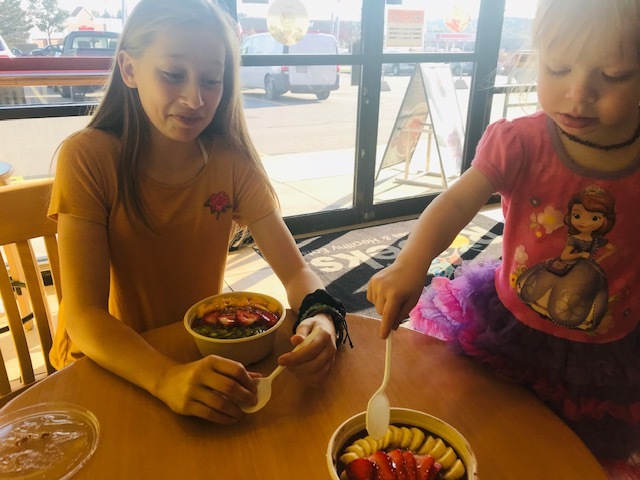 The girls enjoying their bowls at Robek’s! Blend together ice, coconut milk, strawberries, blackberries, protein powder and vitamin c. Pour into bowl. Top with sprouted cereal, honey, almond butter, sliced banana and blueberries. Soups are one of my favorite things to make. I love making a big batch and freezing for later. My 11 year old Kaylee loves to take leftovers in a thermos in her lunch. 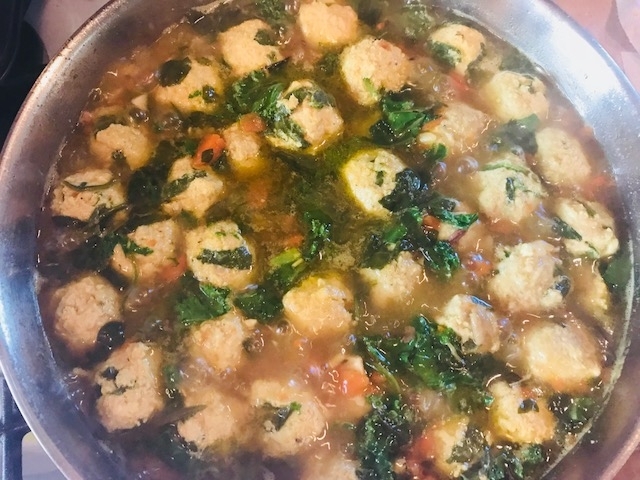 Wedding soup is one of my all time favorite soups. I was craving it the other day so I made it with what I had around the house. It turned out SO good! I hope you all love it!! Add chopped chicken, kale, remaining spinach and orzo to stock pot and stir. Reduce heat and simmer for 45 minutes to an hour. I LOVE baking with pumpkin in the fall! I was playing around in the kitchen yesterday and came up with this recipe. I do this often, sometimes I create a masterpiece like these but sometimes I’m not so lucky and I end up eating them all as my family turns up their nose! We had a play date over when I made these so my taste testers were two very sweet 2 year old girls. They inhaled these!! When big sis came home from school she ate 3 so I’ll say they were a huge hit! Combine pumpkin, protein powder, egg, honey, coconut milk, vanilla, cinnamon, baking powder, flour, salt and coconut oil in bowl and mix. Pour into muffin tins. In a separate bowl combine melted kerrygold and chopped pecans ( I love this for chopping). Mix together and sprinkle with cinnamon. Spoon over muffins. Bake at 350 degrees for 30-45 minutes. They are very soft in the center when warm, almost like pie. I placed them in the refrigerator overnight and they were perfect! ENJOY!!! If you make this please leave me a comment and let me know if your family loved them as much as mine!! The amazing benefits of Massage Therapy. My day at Massage Heights Westgate. Hot stone massage. This massage uses smooth, flat, heated stones that are placed on specific parts of your body. The stones are usually made of basalt, a type of volcanic rock that retains heat. How often do you get massages? Did you know that there are a ton of health benefits to receiving regular massages?? 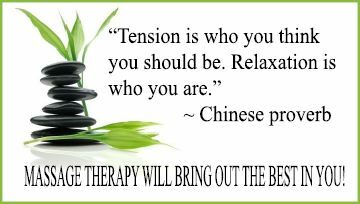 Studies have shown that massage therapy is an effective treatment for reducing stress, pain and muscle tension. 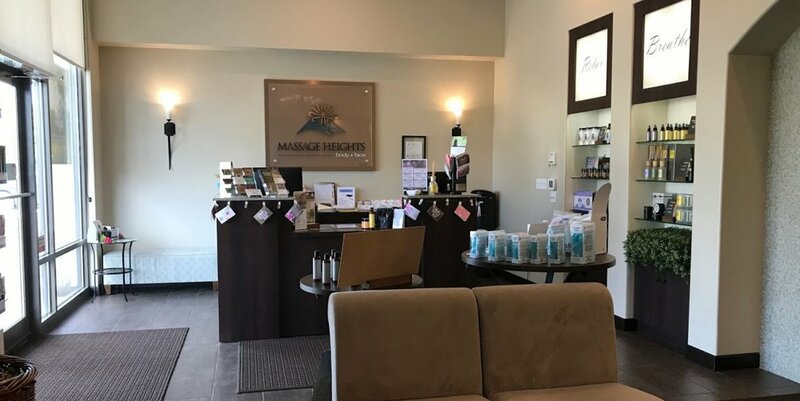 I recently had the pleasure of visiting Massage Heights in Fairview Park Ohio. I received a 60 minute hot stone massage and it was heaven! Their hot stone massages are usually 90 minutes but I had to get back to the kids #momlife lol! At least I had 60 minutes to myself!! When I walked in I was greeted by very friendly staff members and the lobby was both beautiful and relaxing. I was asked to fill out a medical history form while I waited for my massage therapist. The lobby had several shelves of awesome products, I took a few pictures for you to see. They have their own proprietary brand of aromatherapy products which is really cool! As I was given a tour of their facility I was really excited to see they had couples massage areas, what a great relaxing date for you and your spouse! I had no clue that there are actual benefits to your relationship from couples massages! This was my massage room! After the tour my massage therapist showed me to my room. I was asked to choose an aromatherapy product (remember that proprietary line I talked about? I chose the Revive Aromatherapy: Their all-natural proprietary Revive blend is designed to help balance your energy to feel alive and refreshed. Excellent for combating physical and mental fatigue, exhaustion, and sluggishness. Let it revive your senses with freshly harvested organic seaweed and pure essential oils for the perfect fusion of body and mind therapy. The intoxicating blends of lemongrass, sweet basil and lavender will help Revive your skin and balance your energy. If you fall in love with the blend you choose for your massage you can purchase it to take home with you! Heights at Home Product line: use organic emollients, no harsh detergents, no synthetic colors, fragrances or preservatives. Cold-pressed oils. No parabens or chemical additives. All ingredients are derived from plants. After I chose my blend my massage therapist left so I could undress and get on the table. She turned on a table warmer so it was all warm and cozy for me. She came back in the room and asked me to take 3 deep breaths as she used the Revive blend for me to breath in. It was heaven. I chose to have a hot stone, deep tissue massage. I could have laid there for hours if I didn't have to get home to the kiddos! Relax and melt away tension with a Hot Stone Massage Therapy elevation. Relieve sore muscles and intensify the restorative properties of your massage with a Hot Stone elevation. The heat from our hot stones helps release tension by relaxing the muscles, making your massage even more effective. Heat also helps expand the blood vessels so that blood can circulate through the lymphatic system to rid the body of toxins and help it mend. Add an elevation to any 60-120 minute massage experience. My massage therapist Cynthia was amazing! I definitely recommend her! After my massage ended she left so I could dress then came back with water. It's very important to hydrate after you receive a massage. Drinking water after massage is recommended. One reason is that water will help the kidneys and other organs process the various substances which move through the body on a regular basis and after a massage treatment, a lot of toxins have been released, so you need to flush them out. Read more about this HERE. My children and I visit our chiropractor 2-3 times a month, more if we are sick. Since there are so many misconceptions about chiropractic care I decided to write this blog. To give you a better picture of what a chiropractic adjust looks like I visited my friend Dr. Patel at her new clinic Core Life Chiropractic in Shaker Heights Ohio. You can learn more about Dr. Patel HERE and watch the video of my visit below! One of the best things about chiropractic adjustments is they are a drug-free way to heal your body naturally. Did you know that many chiropractic programs incorporate an entire year of PhD-level advanced nutrition training? Check out this blog about nutrition I did with Dr. Patel last year. Dr. Patel specializes in chiropractic care for women and children. Learn more about the benefits for children HERE. No Shots, No School, Not True!!! Have you been led to believe that if your child isn't fully vaccinated per the CDC vaccine schedule that he or she couldn't attend school??? If so, don't feel bad....I was too with my first two children. I'm here to tell you that you've been LIED to!! Do you know what a vaccine exemption form is? With a vaccine exemption form your child can enter school or daycare WITHOUT having to receive vaccines! Did you know that exemption forms are available in ALL 50 STATES??? It's up to us as parents to research both sides of the vaccine debate and make an informed decision. No one else but you truly has your children's best interest at heart, you are their only voice!! No long term studies have been done on the effects of vaccines. As you see above (from the CDC website) the CDC does not believe such studies would be practical. According to them it's 'not practical" to learn about the long term effects vaccines have on our health....let that sink in a bit. Some believe mandatory vaccination is a good thing....if you are believe this let me ask you a question. Do you get a flu shot every year? If you vaccinate your children but decline flu shots then you need to pay attention! Mandatory vaccination would require you to receive ALL of the "required vaccines" including flu shots. All 50 U.S. states still offer vaccine exemptions, some offer more then others. A few states such as CA, MS and WV are more difficult and only allow a medical exemption. Learn your state laws regarding vaccine exemptions and what bills they are trying to pass. We live in Ohio. Ohio allows all 3 vaccine exemptions, Medical, Religious and Reasons of Conscience. This is what a vaccine exemption form looks like. I downloaded this one from THIS site. Know your rights and the law, do your own research on vaccines. No shots, no school, not true! If you want to learn more about vaccine safety here are a few Facebook groups to join! WHAT'S WITH THESE DETOX BATHS EVERYONE'S TALKING ABOUT???? If you haven't tried a detox bath yet then this blog is for YOU! There are SOOOOO many benefits to taking detox baths. Toxins are everywhere no matter how hard to try to avoid them! Detox baths are a great addition to your natural remedy routine but they are also a very powerful tool when you or your little ones are sick! Check out this clip from Fox 8 News Cleveland! I was on last month talking about natural cold and flu remedies. Ok so what is the deal behind these baths??? Our bodies are equipped with a natural detoxification system, pretty cool right? However sometimes our body needs a little help ridding itself of all the toxins we are exposed to, especially when we are sick. 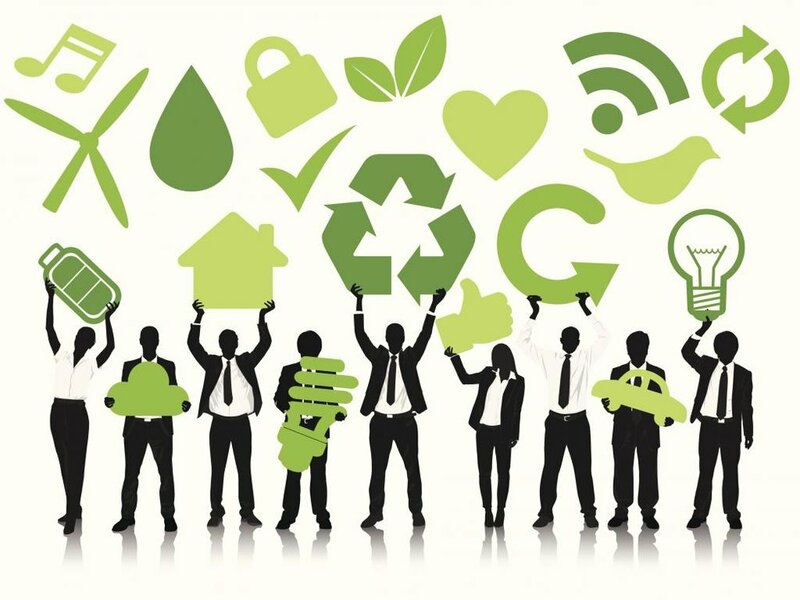 We are surrounded by toxins on a daily basis, from the air we breathe to chemicals in cleaning products and skincare products, even the food we eat. At the first sign of a cold we always do detox baths at our house! Detox baths open your pores and removes toxins through the skin, helping your liver get a little break. Did you know that your skin is your largest organ?? Since your pores are open during a detox bath you should avoid soaps or body washes. When Anya or I take detox baths at home we don't use any soaps or shampoo. If you must use something please make sure it's natural. I suggest NYR ORGANICS BABY if you are looking for a natural product for your little ones. I bet you can't wait to jump in the bath now and want to know how to do it?? Lets start with what you'll need! Epsom Salts-We love the Soothing Touch Lavender Bath Salts. Epsom salt is a powerful tool in home remedies, it has so many benefits. Epsom salt contains high levels of magnesium. Did you know that most Americans are deficient in magnesium?? Soaking in epsom salts can increase magnesium levels enough to skip the need for a magnesium supplement. Magnesium deficiencies can be devastating to the human body. 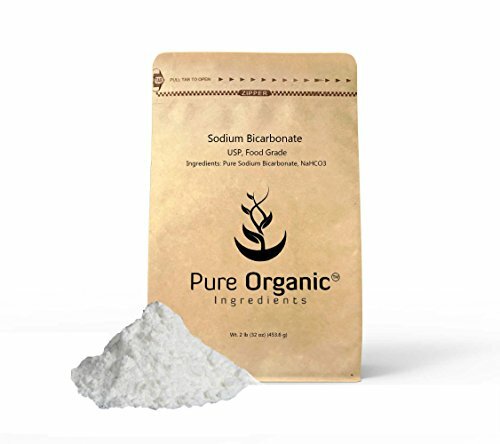 Epsom salts also have great healing properties, they been known to greatly reduce inflammation, and can also help heal the many bumps and bruises our little ones seem to constantly be covered in. 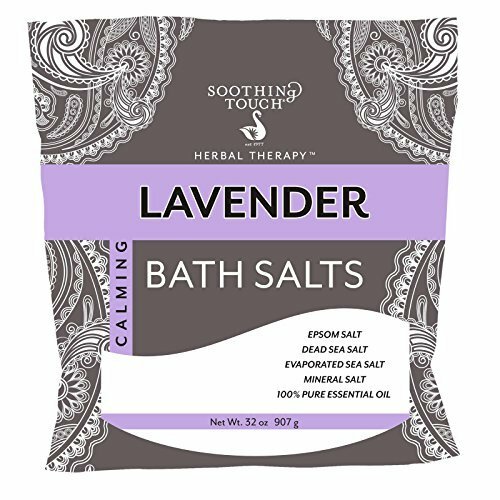 Soothing Touch Lavender Bath Salt, 32 Ounce - 3 per case. Baking Soda- Baking soda in my bath?!? YES! A vast majority of our water supply contains chlorine. A recent study examined the higher-than-normal cases of asthma among swimmers, and found that it was due to their constant exposure to chlorine. In the 1990s, the EPA recognized that people absorb more chemicals, including chlorine, in their bath and shower water than when drinking water contaminated with the same substances. Bentonite clay is mined from weathered deposits of volcanic ash. When mixed with water, bentonite clay becomes negatively charged, like a magnet it attracts positively charged metals like mercury, lead, cadmium, aluminum, bismuth, antimony, and barium. Many heavy metals are classified as cations, which means they carry a positive charge. 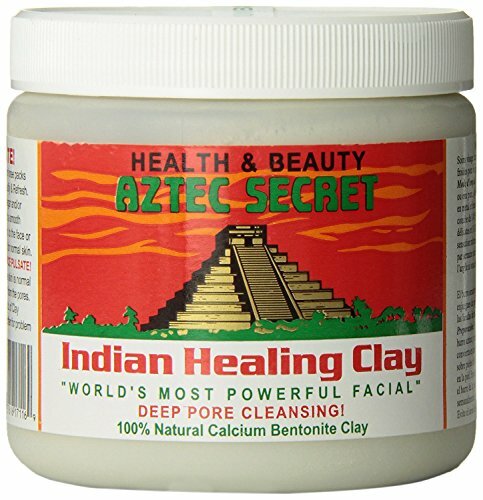 Bentonite clay is very nutritional and contains components like magnesium, calcium, potassium, silica, and copper. Bentonite clay’s properties can also attract viruses and bacteria. One study found that an active ingredient in bentonite clay can have a bactericidal-type effect on the bacteria that cause staph. Adding ACV into the bathwater can help balance the pH of the body and promote healing and give your kidneys a boost! It's great for anyone suffering from skin issues. Now that you have your ingredients it's bath time! Fill the bathtub half way with warm water, I like a very hot bath but make sure it's not too hot for your littles! Add 1/2 Cup ACV to the water, 1/4 Cup Bentonite Clay (make sure to remove any clumps), 1 Cup Baking Soda, 1/2 Cup Epsom Salts for littles 60lb and under, 1 Cup Epsom Salts for kids 60lbs and over and 2 Cups Epsom Salts for adults. Add a few drops of your essential oils (remember to mix them into your salts or coconut oil first). Mix all ingredients together and you are ready to enjoy your bath! Anya and I like to listen to calming music during our baths and I often keep her entertained with toys. Take a bath for at least 15-20 minutes. Your pores will open and allow your body extract the toxins first, and then start to absorb the minerals. Make sure children do not drink the water, magnesium has a laxative effect. A detox bath can make you very thirsty so make sure you stay hydrated and offer lots of water to your littles! Since magnesium promotes sleep these baths are great to do before bedtime! Elderberry Syrup is a potent cold and flu remedy! Keep in mind that I am not a doctor, just a mama on a mission to keep my family healthy so please consult your doctor before taking natural remedies or vitamins!! “Elderberry is a plant. The berries are used to make medicine. Do not confuse elderberry with American Elder, Elderflower, or Dwarf Elder. Elderberry is used for “the flu” (influenza), H1N1 “swine” flu, HIV/AIDS, and boosting the immune system. 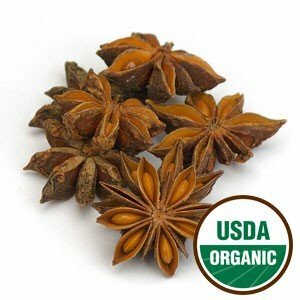 It is also used for sinus pain, back and leg pain (sciatica), nerve pain (neuralgia), and chronic fatigue syndrome (CFS) . Elderberry might affect the immune system. Elderberry seems to have activity against viruses including the flu and might reduce inflammation. Uploaded by Fox 8 News Cleveland on 2018-01-16. Pretty awesome little berries aren't they?? These are the dried Elderberries I use to make my syrup. Ok now we are ready make our own Homemade Elderberry Syrup!!! It's really easy and makes your house smell amazing!! It's good for 3-4 weeks in the fridge. We usually use up our whole batch during that time but you can also freeze some for later. We take it daily for immune support, 1 tablespoon for adults and 1/2 teaspoon for the kids. If cold or flu strikes take the normal dose every 2-3 hours until symptoms disappear. When I had my first two children (now 10 & 12) I blindly gave them antibiotics anytime the doctor prescribed them. I've learned so much since having them and my 3rd baby (she's 15 months) has yet to have an antibiotic. 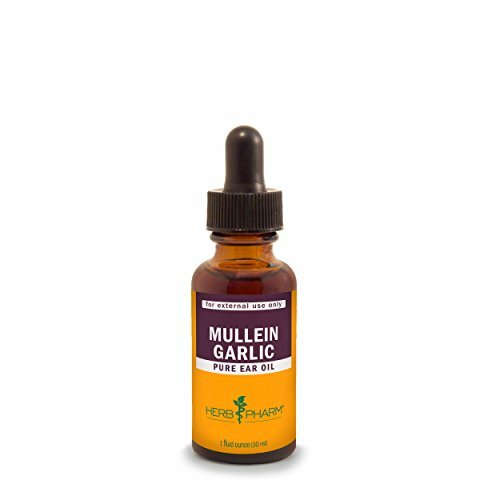 I've cured her 2 ear infections naturally with Chiropractic care and Garlic Mullein oil! (under the supervision of her pediatrician, who of course wanted to prescribe antibiotics right away! lol) I do love that our pediatrician respects my choices to always try a natural route first. Ear infections are the most common reason parents bring their children to the doctor. They are also the #1 reason antibiotics are OVER prescribed. Antibiotics can have side effects. 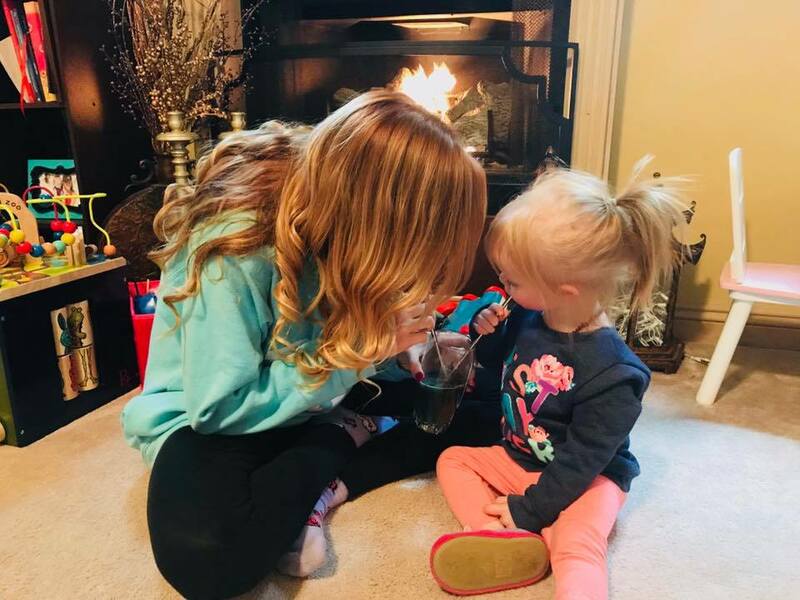 When children take antibiotics at the first sign of an ear infection, they are more likely to have vomiting, diarrhea, and allergic reactions because of the medicine. Also, antibiotics can disrupt their gut microbiome and cause other problems like diarrhea. In most cases, antibiotics are NOT needed.. They do not work for ear infections caused by viruses. They do not help the pain. Usually, viral infections and many bacterial infections go away on their own in two to three days, especially in children who are over two years old. Doctors usually can't tell if the ear infection is viral or bacterial so most just prescribe antibiotics for all ear infections. Over-use of antibiotics is a problem. Antibiotics can help drug-resistant bacteria grow. These bacteria are harder to kill. They can cause illnesses that are harder to cure and more costly to treat, which increases the risk of complications and side effects. Ear infections can affect the ear canal or the middle ear. Acute otitis externa (AOE) is the scientific name for an infection of the ear canal, which is also called swimmer’s ear. 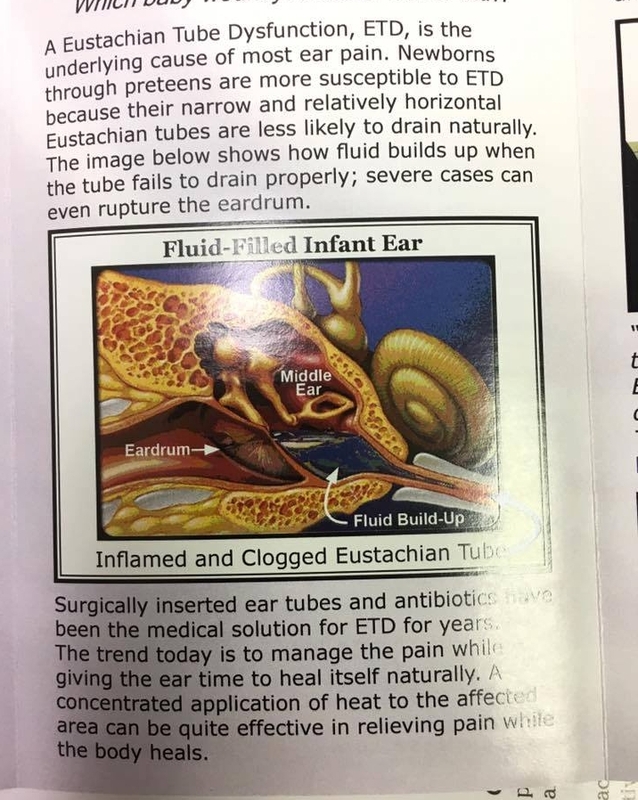 Otitis Media with Effusion (OME) occurs when fluid builds up in the middle ear without pain, pus, fever, or other signs and symptoms of infection. Acute Otitis Media (AOM) occurs when fluid builds up in the middle ear and is often caused by bacteria, but can also be caused by viruses. AOE is usually treated with antibiotic ear drops. OME usually goes away on its own and does not benefit from antibiotics. AOM may not need antibiotics because the body’s immune system can fight off the infection on its own. Mild AOM often will get better on its own without antibiotic treatment, so ask your healthcare professional about watchful waiting before they prescribe antibiotics to your child. This means that your provider may wait a few days before deciding whether to prescribe antibiotics, while treating the symptoms of AOM. Watchful waiting gives your child’s own immune system time to fight off the infection first before starting antibiotics. If your child don’t get better in 2–3 days or get worse, your healthcare professional can recommend starting antibiotics. Chiropractic adjustments not only strengthen your immune system but also can do wonders for helping ease your child's ear pain. We see our Chiropractor every 2 weeks (more if we are sick). Lymphatic massage is a great way to help the fluid in the ear drain. It's easy and something you can do at home!! In our Facebook group HEALTHY HUSTLERS we have several Chiropractors and Naturopathic Doctors that we love to do calls with on popular topics. Today I did a call with Dr. Kyle Wallner from Michigan Family Wellness on Curing Ear Infections Naturally. One product Dr. Wallner recommends is EAR EASE, a device that applies warmth to the ear (see video below). Why I Fired My Boss. I had someone tell me recently that I "don't have a job". At first I was deeply offended by this comment but then I actually thought about their words.... they were 100% right. I don't have a "job" in fact I hated being an employee. I hated being stuck somewhere from 9-5, I hated someone else controlling my schedule. I hated feeling guilty if I had to call in sick, or worse if one of my children were sick! What I DO have is a LIFESTYLE. I have FREEDOM. I wake up when I want (or should I say when Anya wants) I worked at a "job" until I was 7 months pregnant with Anya. I made the choice to fire my boss and stay home with her. I am breastfeeding and co-sleeping because I don't have to rush out the door in the morning I don't get stressed out if she's up all night. I have the freedom to nap with her the next day, not sit at my desk chugging coffee struggling to stay awake. She's asleep next to me as I'm writing this! I work WHEN and WHERE I want to. Some days at my desk, others at the pool or zoo with the kids. I make my schedule. I choose my team of people that I WANT to work with! I get to work and travel with my friends!! I mean seriously, how cool is that?? I'm writing my own book not reading someone else's! This was a "work day" for me last month with one of my girlfriends and our kids! I create my own goals and deadlines and I don't have a boss I don't like breathing down my neck. I never miss a thing with my children, I never have to say "sorry honey mommy has to work". I decide how much money I want to make! I'm not stuck to a salary! Everything I do helps grow MY business not SOMEONE ELSE'S. The baby will be 1 next month and I haven't left her for anything work related yet....that's not for everyone but it is the choice for ME! Do you get to make your own choices like that at work?? I was being interviewed with the baby on my lap at my kitchen table! So I want to say thank you to the person who pointed out that I don't have a job! You made me remember how lucky I am and how much I love my life! I also want to say thank you to the person who introduced me to Network Marketing and taught me how to take control of my life! Is it always easy? No. But SO worth it! Is working 40 hours (or more) a week easy? No. Is sitting in rush hour easy? No. You have to choose your battles and decide what you truly want out of life!! I choose to control my own destiny, not work my life away for a company then hope that they will take care of me when it's time to retire. Next time you are presented with an opportunity LOOK AT IT!! What do you have to lose besides your alarm clock?!!? If you are curious about what I do or where you can start please don't hesitate to reach out!! The Power of Juicing with Anna in the Raw!! So what is Cold Pressed Juice??? Cold Pressed means that no heat gets near the juice, the motor isn't near the actual juice and keeps the integrity of the juice for at least 72 hours. When you juice at home it's been exposed to heat (unless you have a industrial juicer like Anna) and therefore must be consumed right away. (withing a half hour) When you juice or make smoothies at home make only enough to consume right away. If you aren't consuming it right away your body processes it like regular sugar. How can you tell if a juice you are buying in a store is truly cold pressed?? You CAN'T see through cold pressed juice! Most juices in the store are about 50% water!! What should I use to juice?? When fruit or veggies are about to go that's the best time to use them!! You don't need pretty produce so visit your local farmers market and have fun and take advantage of sales!! You can eliminate a lot of waste with juicing! Fruit should be eaten in the morning on an empty stomach or mid morning/afternoon. Fruit takes longer to digest and can cause gas and discomfort. Read labels and do your homework! Don't be afraid to ask questions and don't trust someone else to do your homework for you, it's your body and your responsibility! If you aren't a fan of eating greens juicing is a great way to get your daily serving of greens!! Greens are very alkaline and your body needs a balance of alkaline and acidic. Your body regenerates every 7 years, what you feed your cells is what they are gong to produce. You can literally change anything in your body! Activated Charcoal is like a magnet and pulls toxins or anything foreign out of your body! Even birth control ladies so be careful taking it if you are on the pill!! Any medicine that your body doesn't recognize. Did you know that your bad breath in the morning is a combination of gases from your food digesting?!?! Ewwww right! Drinking warm water with half a lemon every morning when you wake up will alkaline your body and add 10 years to your life! To watch the LIVE interview please visit us on Facebook in our group HEALTHY HUSTLERS and search "Juicing"
Dr. Patel been serving communities throughout Georgia and Ohio. Dr. Patel has a strong passion to serve the community and educate families. Her vision for Medina is to see families and individuals expressing their optimal potential in life, through regular chiropractic care. Dr. Patel has experience working with all ages from new born infants to senior citizens. northern Ohio using the principles of Chiropractic. We want to reach as many families with the ultimate goal being to lead them to a greater state of health as well as deeper appreciation of God. Carbohydrates often get a bad wrap. However carbs alone aren't bad, everyone needs them because carbs are the body's primary source of energy. Women should consume 25g of Fiber a day and Men 35-40g. A high fiber diet lowers your risk of cancer and other diseases such as IBS. A normal diet should contain 50% Carbs, 20% Protein and 30% Fat. To achieve your weight loss goals you need to figure out your goal weight and keep a food diary. You should consume a colorful diet full of raw fruits and vegetables and drink 8-10 glasses of water a day! Look at the ingredient list first. If the label has a long list of ingredients or words that you can't pronounce its usually highly processed and should be avoided! Sodium content- you shouldn't consume more then 800mg of Sodium per serving. Sugars- make sure you learn all the different words for sugar! Macronutrients are carbs, fats, and proteins—the three basic components of every diet. One of the problems with traditional calorie counting is that it doesn’t take into account what you’re eating, just how many calories you take in. You should focus on eating the right thing and it may be more beneficial to focus on macronutrients rather then calories. We hope you enjoy this series on Nutrition! Adrenal fatigue is caused by a poorly working adrenal gland in people who are under mental, emotional, or physical stress. Your adrenal glands make hormones. Dr. Jerrica Sweetnich grew up in a suburb just outside of Cleveland, Ohio. After receiving her Bachelor's Degree in Biology from Heidelberg University in Tiffin, Ohio, she received her Doctor of Naturopathic Medicine degree from National University of Health Sciences in Chicago, Illinois. While there she completed her internship including a rotation with the Salvation Army. Dr. Sweetnich focuses on finding the root cause of disease and treats everyone from a personalized and holistic viewpoint. After being diagnosed and successfully treating herself for Polycystic Ovarian Syndrome (PCOS) she developed a passion for women's health, including making women aware that there are other options besides the "traditional" medical solution.Dr. Sweetnich also focuses on autoimmune conditions including but not limited to Crohn's Disease, Fibromyalgia, and Hashimoto’s Thyroiditis. She is an expert in botanical medicine as well as nutritional therapies and is also currently studying to become nutritional IV certified. In her spare time Dr. Sweetnich coaches softball. She is an avid gym go-er, from spinning classes to kickboxing to good ole fashion lifting heavy weights, she enjoys it all. When not on the field, in the gym, or in the office, you can find her with her husband, daughter, and dog somewhere in the woods! There are so many factors that can affect your Adrenals. Such as stress, which may be the hardest to control! I mean who doesn't have stress in their lives?! An unhealthy lifestyle, toxins, poor diet and more! You are excessively tired- You are getting enough sleep but still struggle to get up in the morning or small tasks have become overwhelming. You crave salt-The reason for salt cravings is low sodium and aldosterone (a steroid hormone) levels in your body. You have a boost of energy in the evening- There’s an energy pattern with AFS— very fatigued in the morning, with more alertness around lunch, a lull in the afternoon, a spike of energy around 6pm and then another wave of fatigue around 9pm. You feel lightheaded if you stand up too fast- Although it's a lesser symptom, This might be attributed to low blood pressure when returning to a standing position. Difficulty dealing with stress- Long periods of high cortisol from stress can lead to a dip in cortisol due to over stimulation, which makes your body less prepared to deal with stress. This can cause a “burnout” that can decrease your overall tolerance to life events. A weakened immune system causing you to get sick easier- If your cortisol levels drop too low, you can be prone to overreact to pathogens and could end up with inflammation or even auto-immune diseases. Keys to Healthy Weight Loss with Loriann Mac!! Loriann Mac has been in the Weight Loss industry for over 30 years. She opened Weight No More in Canton Ohio 11 years ago! Loriann teaches her clients the right ways to lose weight and keep it off through a healthy lifestyle, diet, exercise and supplements. Whether you’ve decided to get in better shape as part of a New Year’s resolution, for summer bathing suit season, lose baby weight after a pregnancy or just boost your normal routine, there’s never a bad time to get fit, shed those last extra pounds and start your journey to a healthier lifestyle. You can't out exercise a bad diet! Make sure to eat a colorful diet full of raw fruits and veggies! Find an exercise routine that you can continue for the rest of your life. Find workouts you enjoy doing and schedule them into your day, break them up throughout the day as needed. Pinterest has a ton of great at home workouts if you don't have time to get to the gym, if your home with a baby like me or to use while traveling! Make sure to incorporate strength training into your routine! Watch the LIVE video in Healthy Hustlers on Facebook! Go to: HEALTHY HUSTLERS and search "Loriann Mac or Weight Loss"
What are Probiotics and why do I need them?? Interview with Dr. Jerrica Sweetnich! Did you know that 60-80% of our immune system is found in our gut?!?! We had a great call with Dr. Jerrica Sweetnich about Probiotics. Dr. Sweetnich is very knowledgeable and we learned a lot from her on this topic! Thanks again for doing the call for us!! Here is a little background on Dr. Sweetnich and how to connect with her! Dr. Sweetnich focuses on finding the root cause of disease and treats everyone from a personalized and holistic viewpoint. After being diagnosed and successfully treating herself for Polycystic Ovarian Syndrome (PCOS) she developed a passion for women's health, including making women aware that there are other options besides the "traditional" medical solution. Dr. Sweetnich also focuses on autoimmune conditions including but not limited to Crohn's Disease, Fibromyalgia, and Hashimoto’s Thyroiditis. She is an expert in botanical medicine as well as nutritional therapies and is also currently studying to become nutritional IV certified. Our microbiome is made up of of trillions of yeast, bacteria and viruses. We have a 10-1 ratio, we have more bacteria, viruses and yeast then we do cells in our body! Probiotics do so many things for our body like helping us break down food, helping with hormones, they are anti-inflamatory. Everything for your health starts in your gut! The best source of both Pre and Probiotics are found in food! 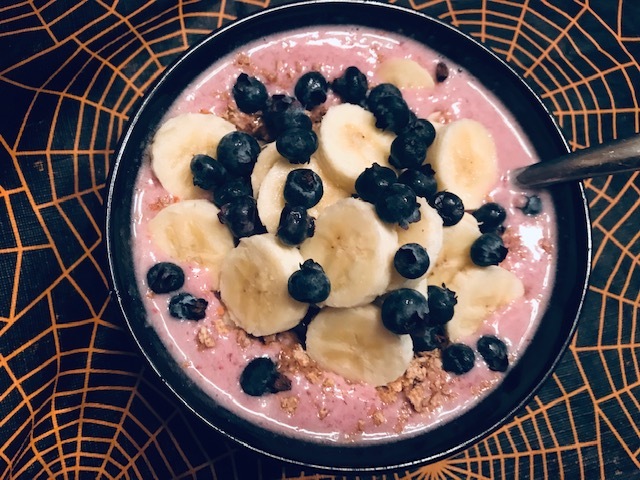 Prebiotics serve as food for probiotics and a few of the best sources are berries and bananas (just to name a few). Probiotics balance the good and bad bacteria in your gut and can be found in fermented foods such as Sauerkraut and Kombucha. Contrary to popular belief yogurt is NOT one of the best sources for probiotics (hear why in the live video below). If you aren't getting enough pre and probiotics in your food you can find them in a supplement form. Dr. Sweetnich tells us what to look for when taking them as a supplement in the live video below. Dr. Sweetnich put together a store that has all of her favorite companies in one place for our FB group HEALTHY HUSTLERS . She is also giving the group 15% off all orders! In order to get the 15% you just have to let her know when you sign up so she can assign you the discount. Pure Encapsulations, Gaia Herbs, Vital Nutrients are just a few of the brands in there. She be adding more supplements into the store so if there is something you don't see feel free to ask! Meet our good friend Dr. Howard Peiper! Pulitzer prize nominee and best selling author of over 12 books! Dr. Peiper has been practicing medicine for over 4 decades and has been featured on numerous TV shows and radio interviews. Dr. Peiper and his wife Meg! 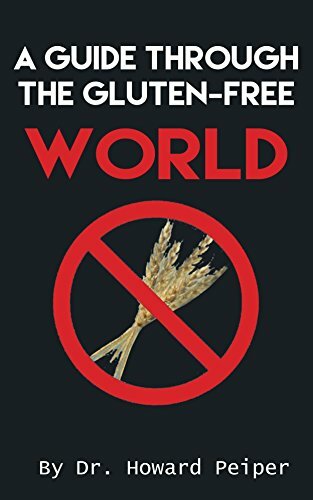 Today Dr. Peiper shares his wisdom on Gluten...exactly what is it, where it comes from and why it should be removed from your diet. Sit back and take some notes; this information is powerful! Feel free to share this with your friends on social media and have them join Healthy Hustlers!